A Conditional Discharge is not a conviction. 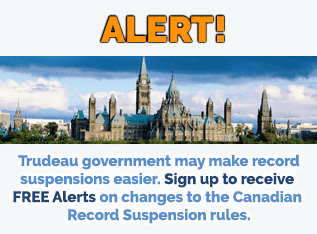 You cannot apply to have it sealed or suspended with a Canadian Pardon or Record Suspension. The good news is that a discharge automatically gets purged after a period of time. You do not have to spend hundreds of dollars to have it sealed or suspended. I have had people call me immediately after receiving a discharge to apply to have it erased so that it does not affect employment. 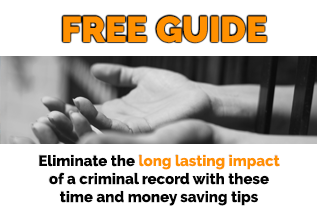 The bad news is, a discharge will appear on your criminal record for a period of time before it gets purged. Though it is not a conviction, it is still seen as evidence of guilt. If you read the Criminal Code of Canada, Sec 730(1), you will read that there was a finding or admission of guilt by or to the Court. When Does my Discharge Get Purged? A Discharge will automatically be purged 1 year after you received an Absolute Discharge or 3 years after you received a Conditional Discharge (provided you comply with the conditions imposed). If you hire us to assist you with a Record Suspension for Criminal Convictions, we will ensure any discharges showing up on your Criminal Record are purged at no extra cost to you. Some paralegal companies charge substantial fees to ‘purge’ discharges when all you should pay for is an RCMP search to ensure the discharge was properly purged. How Can I Be Sure my Discharge was Purged Properly? The courts incorrectly recorded the discharge as a conviction and therefore, it was not purged automatically after the one or three year period. The discharge was removed from the RCMP database. But, you still have an FPS number associated with your name even though you have no other discharges or convictions. So, when your name is run there is a ‘positive hit’ meaning your name is still associated with an FPS number/criminal record, leading the person who ran your name to wonder why the police have a file on you…but it is blank. This often happens when a person faced other charges at the same time as the discharge which were withdrawn, dismissed, stayed or there was a finding of not guilty. In a case like this, though your discharge is automatically removed, you have to make a separate request to have the FPS number associated with your name purged, along with the charges which were withdrawn, dismissed, stayed, etc. Here is a sample criminal record that showed up when the applicant’s name was searched. The fact that there is an FPS number associated with the individual is evidence that they once had dealings with the police. If, for example, you are traveling to the U.S. they can see your name and FPS number on the left hand side of the criminal record whic but the details of a criminal record are ‘blank’. As far as they are concerned, you have a criminal record but the ‘conviction’ is missing and the more experienced border guards will have figured out that you had a discharge at one time. See the sample below. They can not see the dismissed charge on the far right side. They can only see the left side of the page. The far right column typically shows charges that were withdrawn or dismissed or stayed (ie. stay of proceedings), or there was a finding of ‘not guilty’ or ‘not guilty due to insanity’. The discharge shows up on the left side for 1 year if it was absolute or 3 years if it was conditional. The conditional discharge that once appeared on the left side under “CHARGE – ACCUSATION” was purged after 3 years. Normally, if there are no convictions or other discharges on the left side and there are no withdrawn/dismissed/not guilty charges on the right side, then the entire file would just ‘disappear’. But, in this particular instances as there was a ”DISMISSED” charge on the far right side a criminal file will show up even though there are no convictions making it obvious you have had dealings with the police that lead to your arrest and fingerprinting. This CPIC file does not normally get created unless you were arrested, fingerprinted, convicted or discharged. To run a criminal record check in Canada, locate your nearest fingerprinting agency. 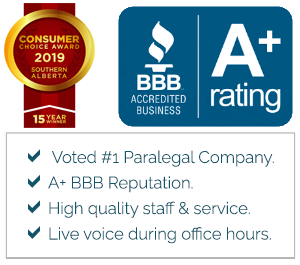 To reach a fingerprinting agency in Calgary, contact the Canadian Legal Resource Centre Inc. If you do NOT have access to a digital fingerprinting agency, contact our office. We can arrange for you to be ink printed by your local police which we can then convert to digital to ensure the fastest processing time. Can I travel to the United States witha Conditional Discharge? What is a Conditional Discharge?